Siri is a fast way to respond to or to initiate chats in Messages on Apple Watch. Access Siri in the usual way (push and hold the Digital Crown), and then say: “Send a message to Sacha and let her know I’ll be there in 20 minutes”, and lower your wrist to send. You can also open the Messages app (see below) and firmly press the display until the New Message item appears. Tap this and you’ll be asked to Add the contact – either find them in your contacts book, search for them, dictate their number or type it and tap Send. Press Digital Crown and select Messages. If you have added Messages as a Complication, tap that. Press the Side Button and swipe up/down (or use Digital Crown) to cycle through recently used apps, tap the Messages app when you see it there. Press the Digital Crown and ask Siri “Open Messages”. Or ask Siri to open a Message to a contact you have in your contacts book. Record a response which can be sent as dictated text or an audio message. These are sometimes all you need when you’re running between A, B and yesterday’s late deadlines while trying to keep in contact. The fastest way to respond to a message is (oddly enough) not listed on the reply screen and is called Tapback. This consists of a small number of responses, including a heart, a thumbs up and a thumbs down, laughter, exclamation marks and a question mark. You use these to keep the conversation going when you have no words – but you need to know how to access this feature. When you receive a message, double tap it. The Tapback screen pops up. Tap the response you want to use. Tap the Sketch icon and you can write letters or words on the display. Apple Watch will turn these letters into words for you – just tap Space in between each word. There is one more powerful feature in this: Sketch the first letter(s) and then turn the Digital Crown to access Predictive Text suggestions – scroll through for the correct one, or sketch a second letter to help focus the suggestions. (This is such a cool feature once you find it is there). Tap this icon, use Digital Crown to scroll down, and then select the right message. There’s another feature to explore: Scroll down to the bottom of the list and tap Stickers. Here you will be able to choose any sketched response you’ve previously used and a selection of Apple-created responses that may be appropriate to the conversation. Let go of the screen and a message containing the heartbeat will be sent or tap Send if you are starting a new conversation. Send a drawing:To send a drawing, tap the Heart icon and start making an image with your finger. To change color tap the blue dot at the top right of the display. The message will be sent when you stop drawing. Send a tap:Tap the Heart icon and tap the screen one or more times. You can change color when you tap the blue dot. The message will be sent when you stop tapping. Send a kiss:Just tap two fingers on the screen one or more times to send a kiss. Send a flame: Send a flame when you touch and hold one finger on the display until you see it appear. It will be sent when you lift your finger. More here. 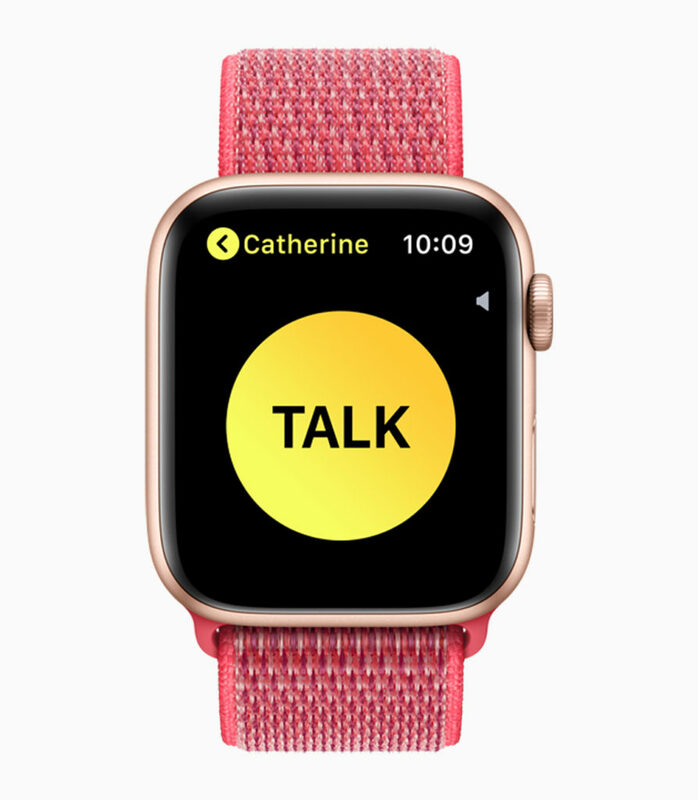 You can set your Apple Watch up so that it will always send a recorded response of what you want to say in answer to a message. This is useful if you are using technical terms, want to provide a long explanation, or simply don’t want to double check the device’s attempt to understand and dictate your words. You’ll see a choice: Transcript, Audio and Transcript or Audio. If you set it to Transcript you’ll always send a written transcript of what you have said. Audio means you’ve chosen to send your message as an audio recording. The final choice (Transcript or Audio) is the one you should put in place if you want to choose the appropriate option each time you send a message. Select the one that’s appropriate to you. You can easily use Apple Watch to let people know where you are. While you are inside a Messages conversation with someone just force touch the display and choose Send Location, they will receive a clickable Apple Maps image that shows them where you are. Apple Watch lets you send default text replies when you want to respond to a Message. There are lots of these (including Smart Replies which use Siri to offer up something like a response idea), but you may want to create some of your own. Then tap Add Reply … at the bottom of the list to create a new response – it may be quite useful to create an entry for your office address so you can inform meeting participants where it is if they ever ask. While it’s tempting to believe that every message you ever receive is important enough it should be kept for posterity – and also tempting to want to choose to lose those messages that offend you the most, you can easily delete message threads on Apple Watch. Open Messages on the Watch and find the one you want to delete. Tap Delete and move on. If you speak multiple languages then it’s possible you have conversations in multiple languages with people. Your Apple Watch can help you do this – you just have to switch to the appropriate language during the chat. Open Settings on your iPhone and choose General>Language and Region. Tap Add language and choose the language you want to use. In future when you are planning to use one of your languages, just Force press the screen while in the relevant messages thread and tap Choose Language. Not only will you be able to dictate responses in the language, but you’ll also find the canned responses (Default Replies) on your Apple Watch will also be translated. I hope this article helps you get a little more out of using your Apple Watch.